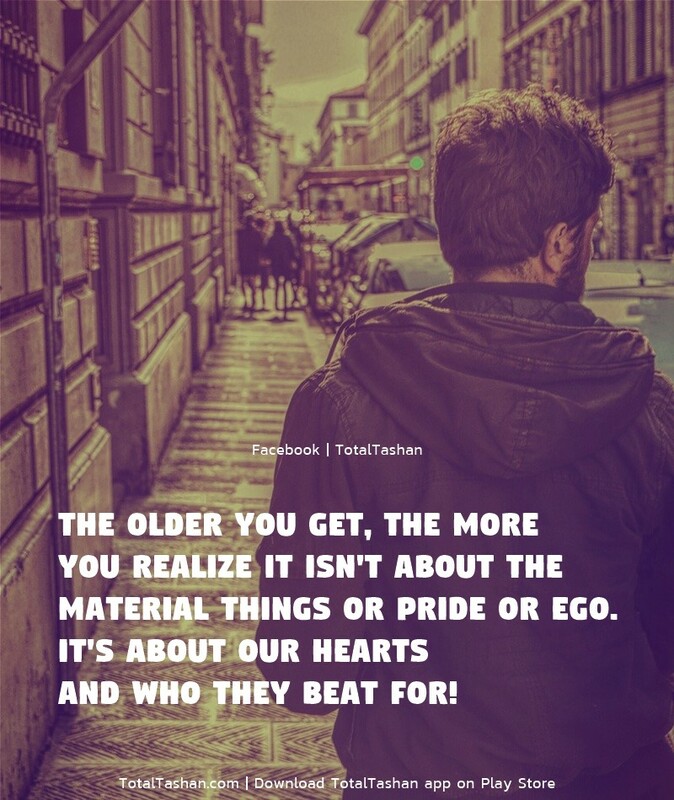 The older you get, the more you realize it isn't about the material things or pride or ego. It's about our hearts and who they beat for! Why do we close our eyes when we pray; when we cry; when we kiss; or when we dream? 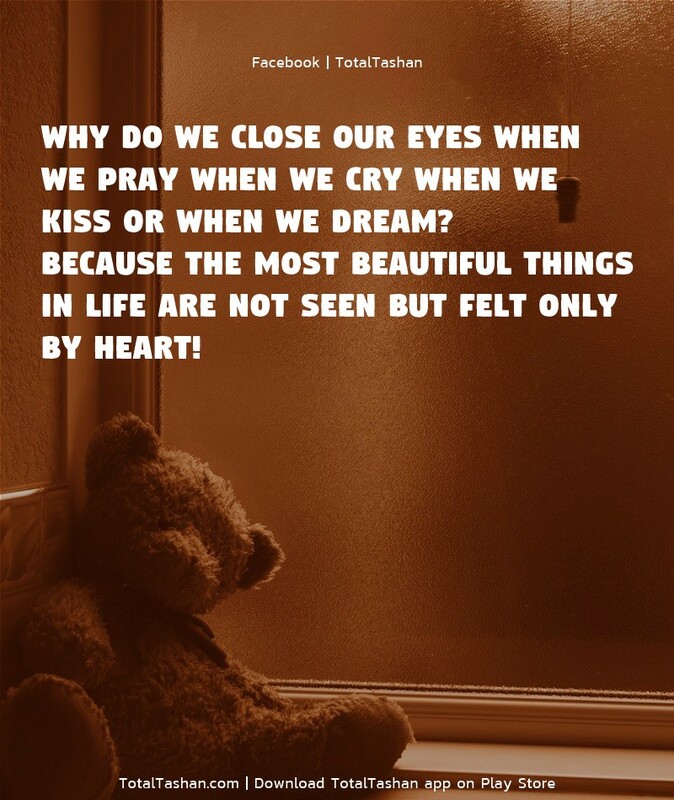 Because the most beautiful things in life are not seen but felt only by heart! 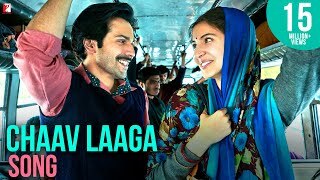 The second face, you show to your close friend and your family. 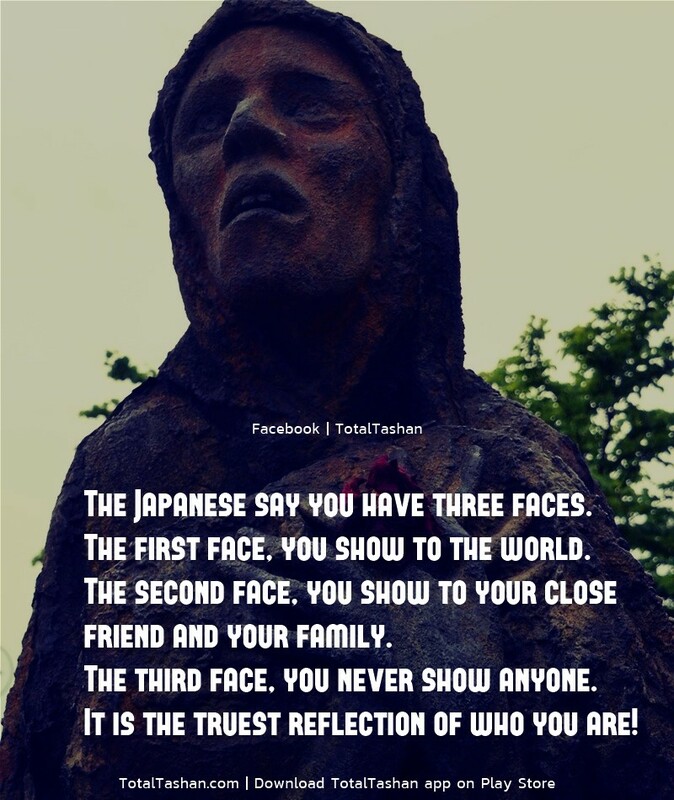 The third face, you never show anyone. 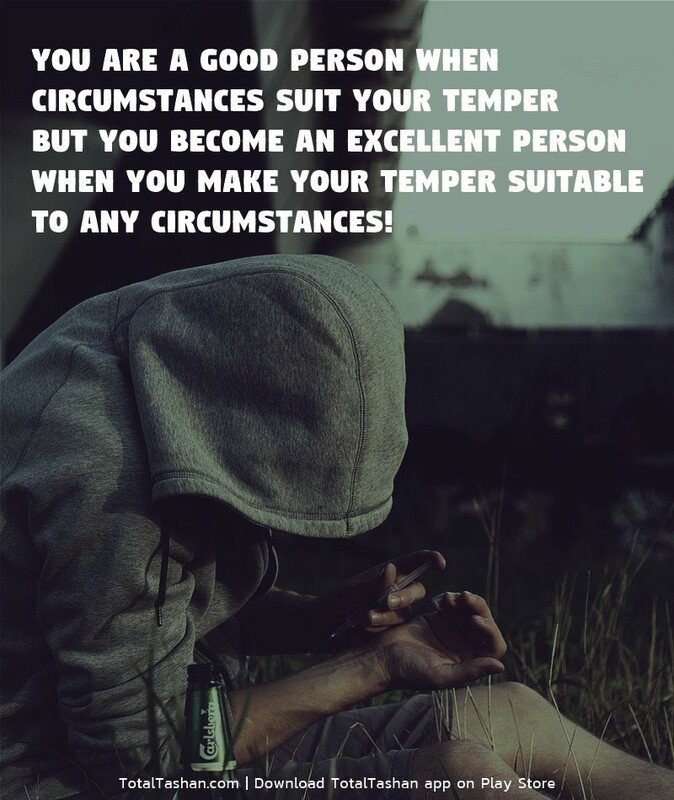 It is the truest reflection of who you are! 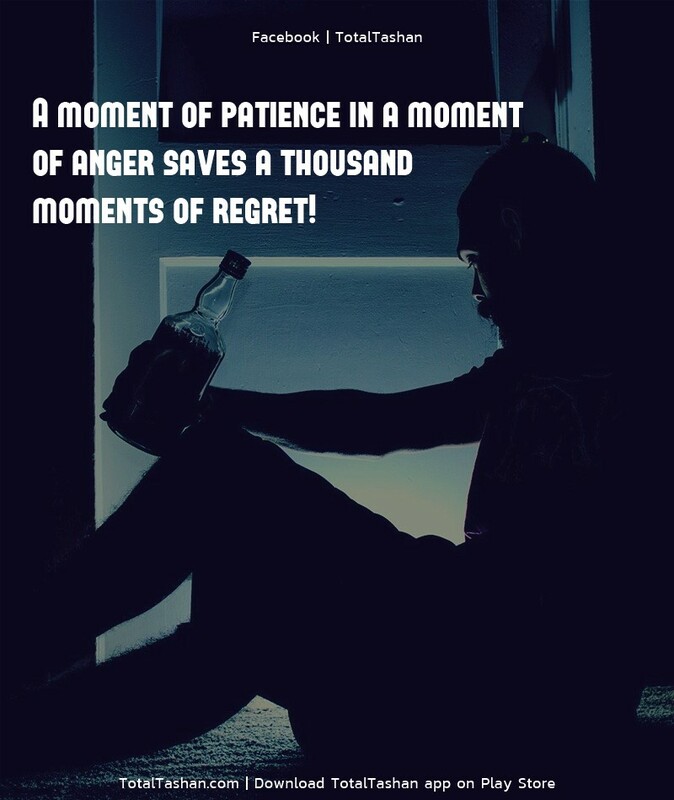 A moment of patience in a moment of anger saves a thousand moments of regret! 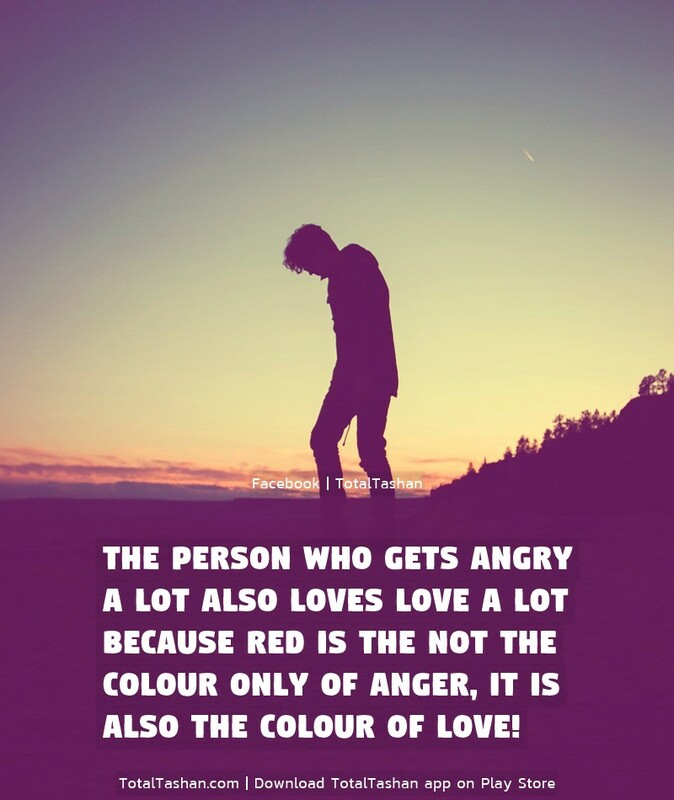 Because Red is the not the colour only of Anger, it is also the colour of Love! Feelings are much likes waves. But we can chose which ones to surf! 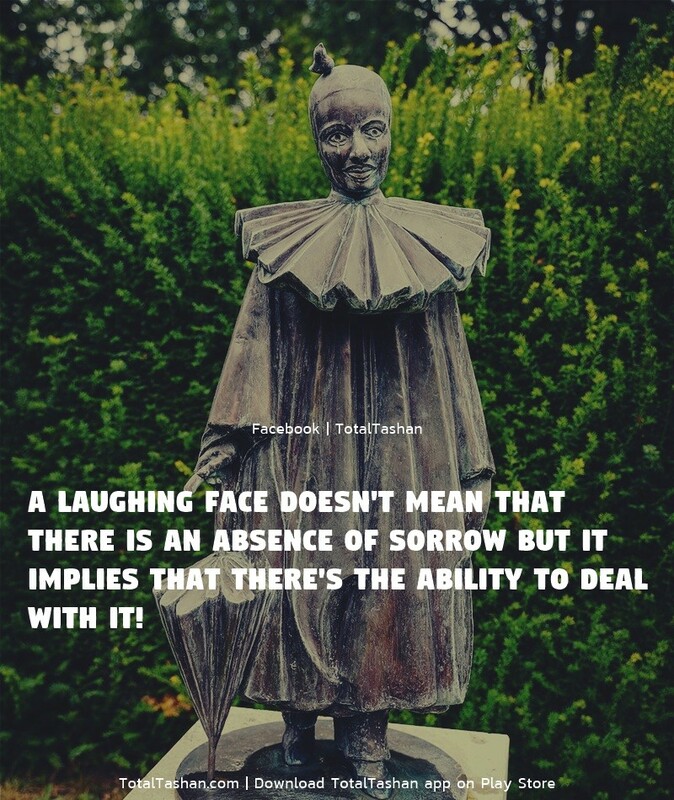 A laughing face doesn't mean that there is an absence of sorrow but it implies that there's the ability to deal with it! 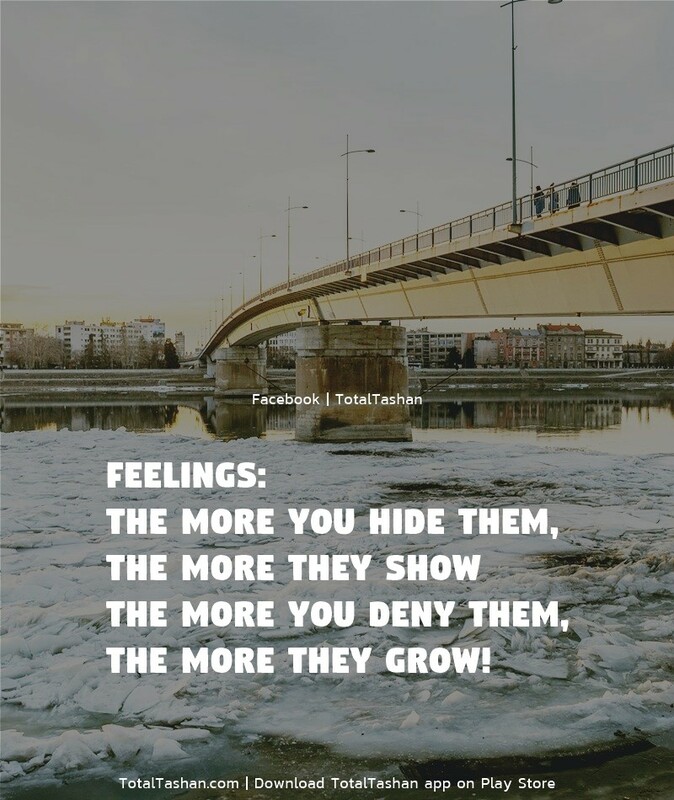 The more you deny them, the more they grow! 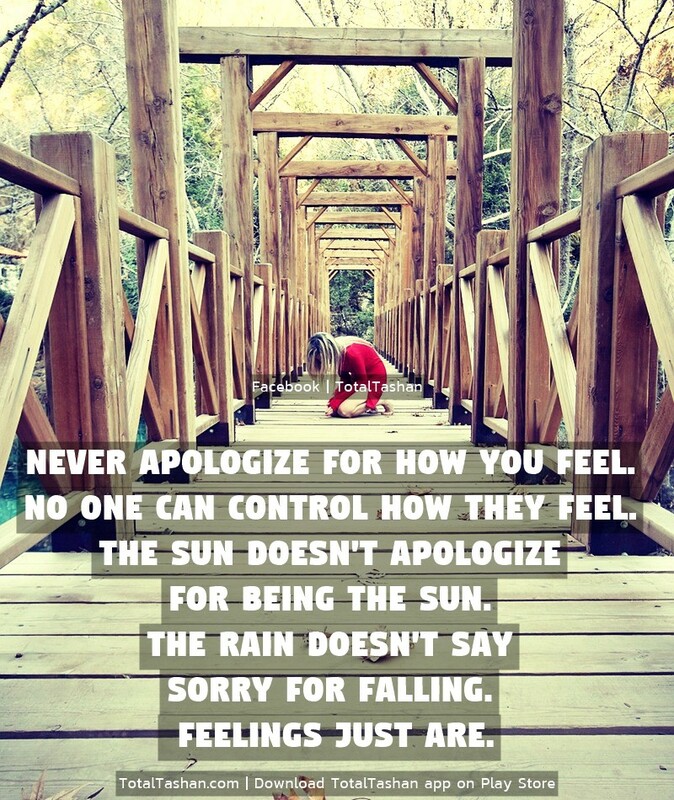 Feelings are really our GPS system for life. 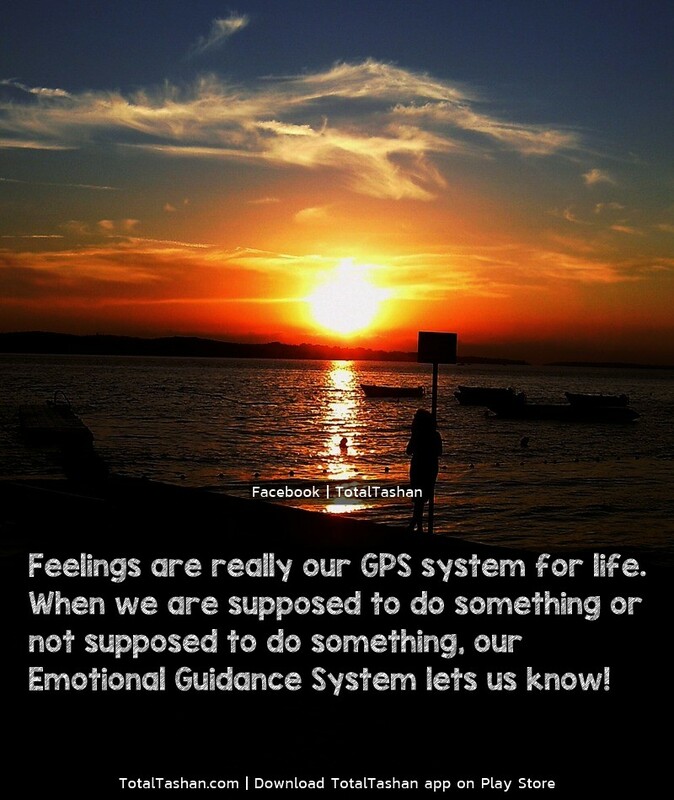 When we are supposed to do something or not supposed to do something, our Emotional Guidance System lets us know! 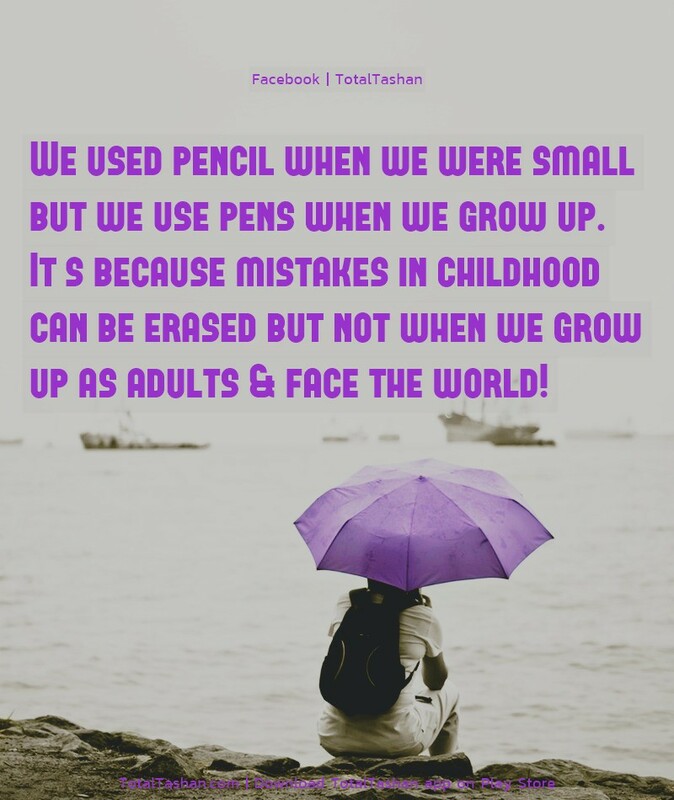 We used pencil when we were small but we use pens when we grow up. It's because mistakes in childhood can be erased but not when we grow up as adults and face the world!